I love a fall wedding. There is nothing like a perfect fall day in New England, feeling the warm sun on your face, the cool touch in the air, the sound of leaves blowing in the wind. 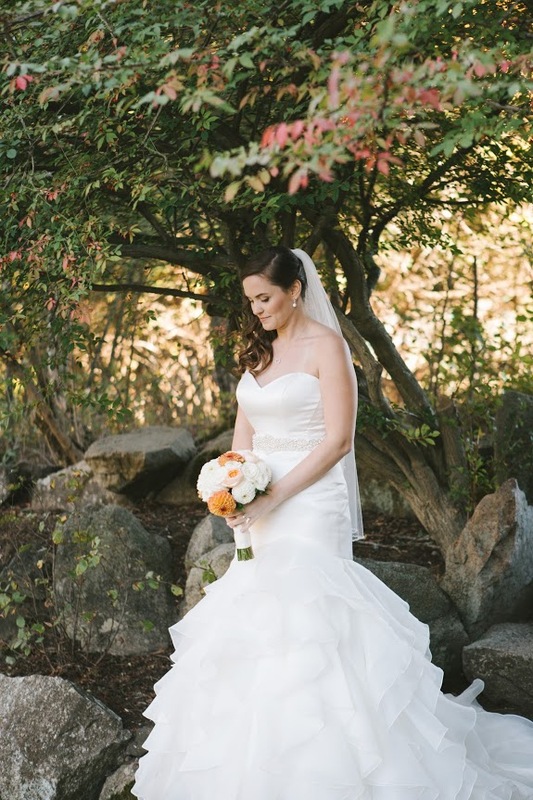 Tayler & Michael's #BestDayEver was nothing short of the perfect fall day. The ceremony was held at outside Saphire Estate in their pristine courtyard. The arch was decorated with elegant white draping and flowers coordinating with the rest of the wedding. You'll notice lanterns, pumpkins and petals adding a final touch to where our couple exchanged vows. 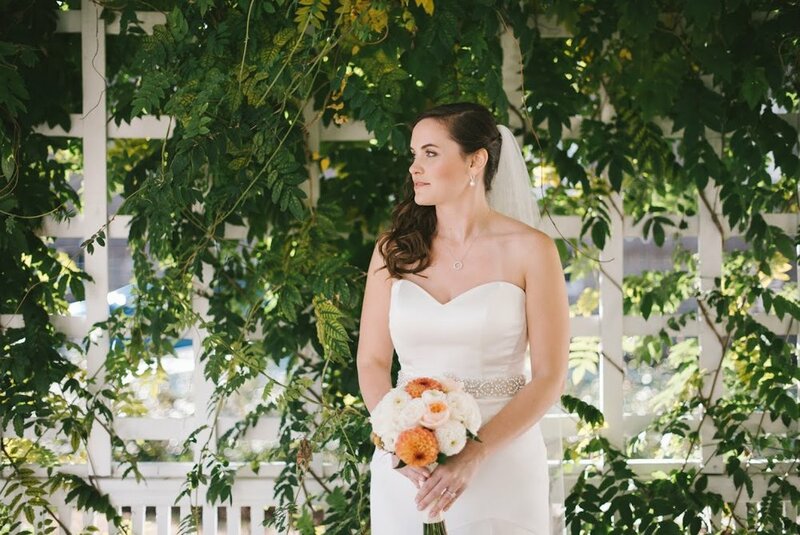 The mix of peach and white flowers are a stunning contrast against the navy dresses, proving once again that not all fall colors are yellow, orange and red. Look closely and you will see dahlias, Juliette garden roses, peach Tiffany roses, ranunculus and hypericum berries. The texture is unreal with a mix of these popular blooms! It is all about the sweet and personal details nowadays and I am lov-ing it. White mini pumpkin place cards, scarves were provided for guests, homemade cookies as favors. The simplicity of their centerpieces were darling, budvases with a bloom or two with babies breath on assorted hardcover books. "I absolutely LOVED my flowers and you were so easy and awesome to work with!" Will you just look at the look on Michael's face as he is seeing his bride for the first time?! All the love! All the feels! A fabulous, flawless fall wedding for the books! Thank you to my bride Tayler for sharing these pictures! !